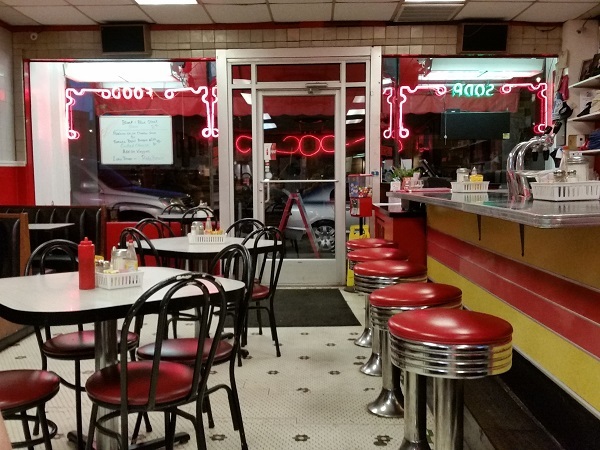 Elliston Place Soda Shop, Nashville TN – Marie, Let's Eat! Longtime readers may remember that we have some good friends in the Music City, and that I like to leave a blank or two in the schedule, where possible, to go where they recommend when we visit. Last month, as I’ll discuss in subsequent chapters, I made a return trip to western Kentucky to dig a little bit deeper into the region’s food, and, this time, I brought Marie and our son. I also brought our daughter for a short part of the trip; she went to spend Thanksgiving with some of her family up that way, and all four of us settled down for supper with some of our friends at one of Nashville’s oldest surviving restaurants. 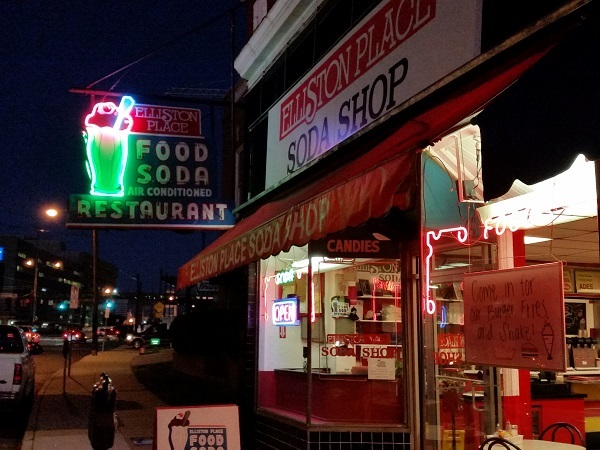 Elliston Place Soda Shop originally opened in 1939. It survived a landlord-induced closure scare four years ago, and we hope that it’s around for a long time to come, because it’s really good. This part of Nashville, south of downtown and above Vanderbilt, has been getting more and more exciting over the last several years. Street parking is tough to find. During the day, there’s a pay lot right around the corner from the restaurant that only charges $2. At 5 pm, the price increases to $8, since many people will spend hours and hours here, eating and then drinking and then seeing a show at Exit/In. Fortunately, the parking machine had malfunctioned and was refusing to accept any money when we, at 5:01, wanted to give it some cash. The little strip presently includes just the Soda Shop and a music store which had once been the site of the pharmacy that originally spawned the restaurant. The third space is presently vacant; it had been the home of the old and much-loved antiquarian bookstore Elder’s, but they moved to White Bridge Road recently. I wonder whether they suffered similar landlord issues. Before Elder’s had the space, it had been a Hill’s grocery store. 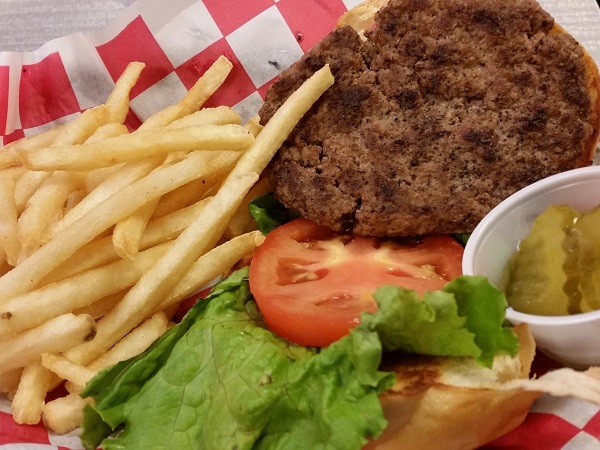 At lunchtime, Elliston Place offers meat-and-two meals that have everybody raving. They have a smaller menu for supper, and so our friends Tory, Brooke, and Matt dug in to some classic burgers, fries, and milkshakes with us. I really like how you get great big milkshakes here. Like The Grill in Athens GA, they bring you a nice tall glass, and then leave a great big second helping in a stainless steel tumbler. They’ll even give you a to-go cup to take the rest with you for breakfast the following morning. Their chocolate malt is the most celebrated drink on the menu, and what our friends all ordered. 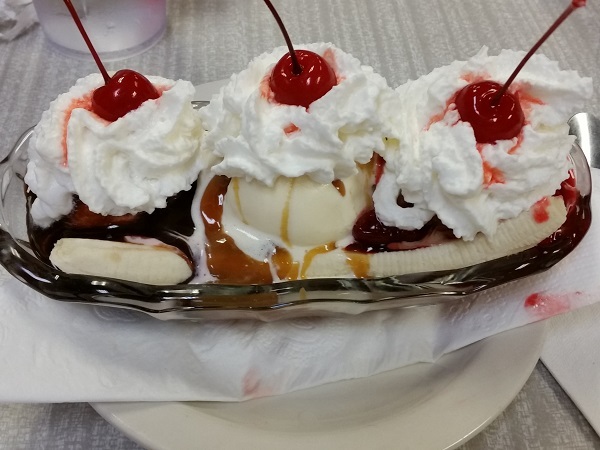 The girlchild and I each had orange dreamsicles and Marie just had a banana split for dinner, which took a little longer to make than would be ideal but still pleased her completely. This is a fine, fine place and I hope they never have landlord scares again. 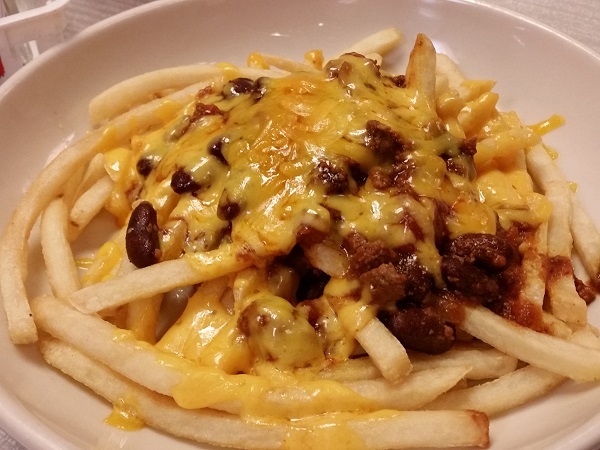 Posted on December 13, 2015 July 27, 2017 by Grant G.Posted in burgers, nashville, roadfood, tennesseeTagged burgers, nashville, roadfood.com, tennessee. I agree, and if you like old neon signs, we found a really terrific one in Kentucky. Stay tuned! Wish you’d published this last week… We were looking for a place for dinner Saturday after showing up too late for a table a Rolf and Daughters. Went to Cochon instead. I’d like to get to Cochon one day myself. I’ve heard good things. How was it? Cochon was good – nice variety of stuff – I’ll have my review up in a couple of weeks. We had a two of the sliders, a salad and one of the boudins.